In the New Testament period, northern Jordan was the region of the Decapolis, ten cities in Greek, where Jesus taught and performed miracles. 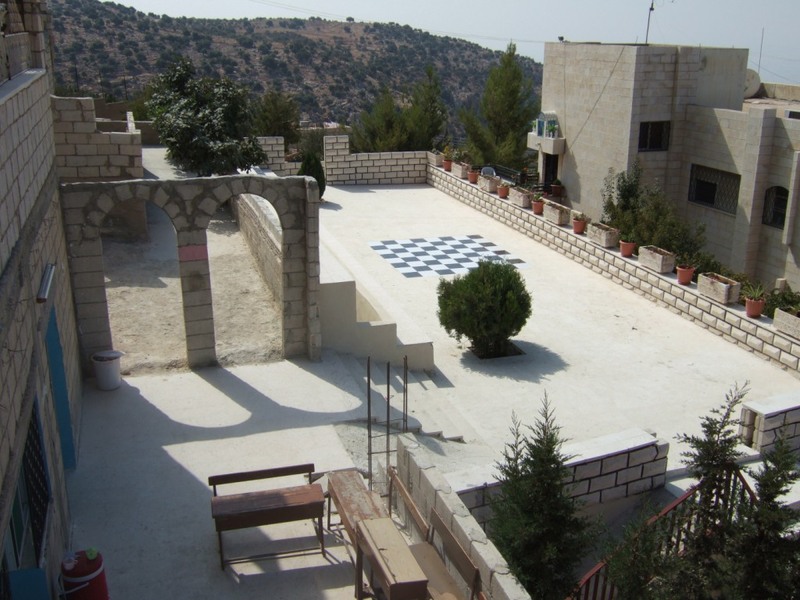 One of the four pilgrimage sites, designated in the year 2000 by the Catholic Churches of the Middle East, is Tell Mar Elias between Ajloun and Kirbeh Wahadneh. Elijah’s Hill is the same place from which, tradition says, Elijah ascended into Heaven. From as early as the centuries immediately after the time of Jesus, the place where it is said that Elijah ascended to heaven has been known as Tell Mar Elias. The newly excavated remains of a large 6th to 7th century A.D. Byzantine church are on this hilltop site long identified with Elijah.The small natural hill, a few kilometres east of the river Jordan, formed the core of an ancient settlement where John was living when he baptised Jesus. 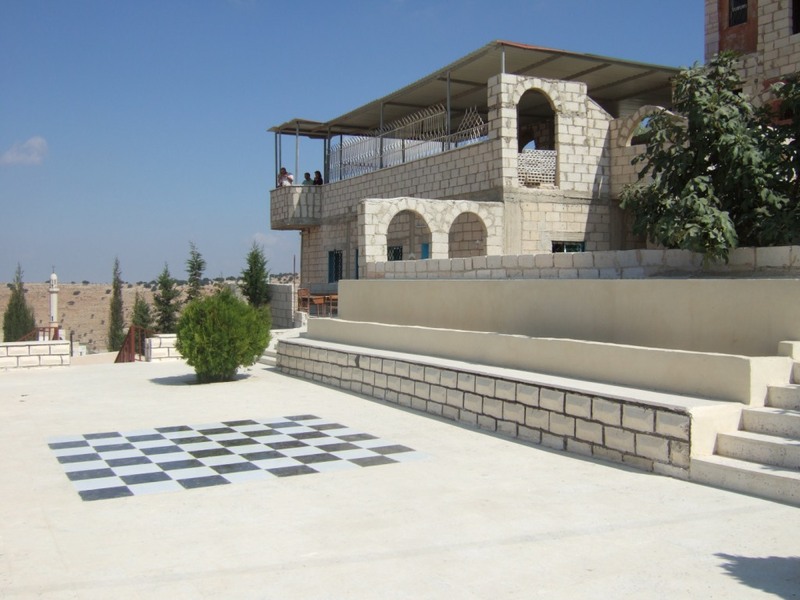 Kirbet Wahadneh is a small village on top of a hill overlooking the surrounding country with panoramic views around and down to the Jordan valley. There are problems with water supply in the village. The population of the area is mixed with both Christian and Muslim. The school first started in a room on a different site, sometimes, it was in the open air or in an old house next to another that was used as a church. From 1926 to 1948 a small Byzantine church was used until. Then in 1963 the new church was built on the present site. It was consecrated in 1964. When the first school was built it was only for Grades 1 and 2 in two classrooms with two teachers. The Kindergarten started in 1974. In 1983 another floor was built to accommodate grades 3 and 4. Then in 1988 two more classrooms were built in a separate building next to the church to take grades 5 and 6. After this the children of Grades 7 to 12 have to go to a government school. These pupils come to the school on Saturdays for their catechism lessons. The present school has three classrooms on each floor and takes grades 1 to 6. There is a room used for the computer lessons, but there are only five PCs. The room is also used as a library with a few poor books on the shelves. The Kindergarten is in a separate building built between 1990 and 1992. This has the accommodation for the Rosary Sisters with a large Hall underneath. The Kindergarten classes are on the stage of this hall and in a small room beside the stage. When the hall is in use they have to move out. Here there are two classes, KG 1 has 12 children and KG 2 has 28. 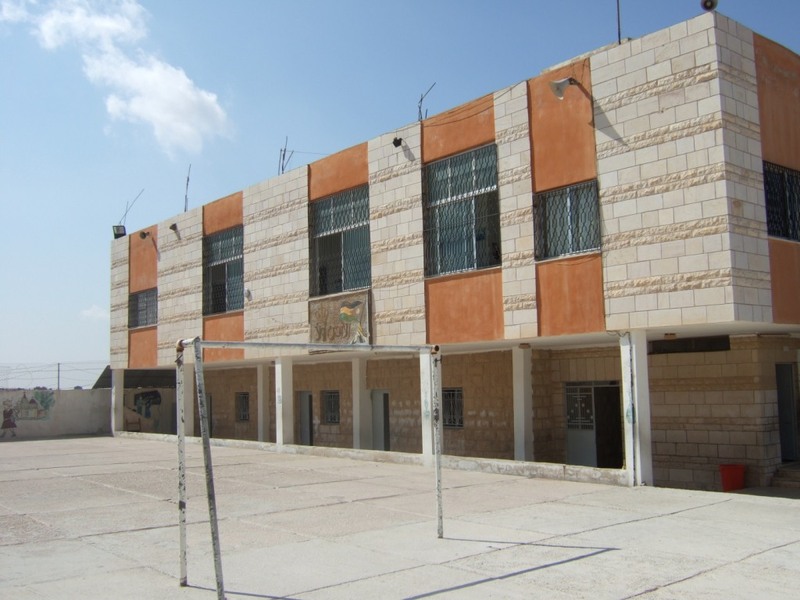 When I first visited the school in 2004 the Parish Priest, Father Bassam Deir, had started the construction of facilities to improve the accommodation and facilities for the children. The finance for this he had raised by his own efforts. Two years later he has completed the building of more classrooms for both schools. Soon the Kindergarten will move from their restrictive accommodation to purpose built classrooms. A large area outside has been cleared and paved to provide a very good and safe play area for them. The accommodation for the Principal and staff has also been improved. He has more imaginative improvements for the other land available. This will be completed as and when finance becomes available. There is a Principal for each school. There are 11 teachers all female, 10 are Christian and 1 Muslim, with two Assistants. There are 166 children on roll with 90 boys and 76 girls, 66 are Christian and 100 Muslim.